Steve Jobs will continue in his role as CEO of Apple, but now he is on medical leave, he’ll be handing over day to day control of the technology giant to Tim Cook, his Chief of Operations and second in command. 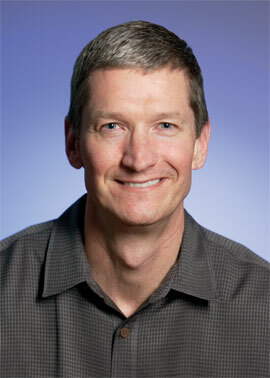 Cook has been with Apple for 12 years, since 1998 when he left Compaq to work for Jobs. He has also worked for IBM and is a fitness fanatic who enjoys gymanastics, according to Wikipedia. A couple of things about him that probably appealed to Jobs are his work ethic: he gets up and starts answer emails at 4.30am; and his belief in intuition – the kind of creative, stick-to-your-guns approach that Jobs himself favours. According to Wikipedia Cook gave a speech at Auburn University about the importance of intuition in guiding his life’s biggest choices. He has a masters from Duke University and a BSc in Industrial Engineering from Alabama’s Auburn University. Will he be Steve’s successor long-term?